It’s fall, my absolute favorite time to run and compete, particularly in trail running events. And much like the road marathon season, there are far more events to choose from this time of year. I can’t seem to stop myself from signing up for runs even when I am initially planning for a non-competitive weekend. The challenge and scenery drew me back to Claysburg, PA since I initially had the pleasure of attending Rock ‘N The Knob in 2015. 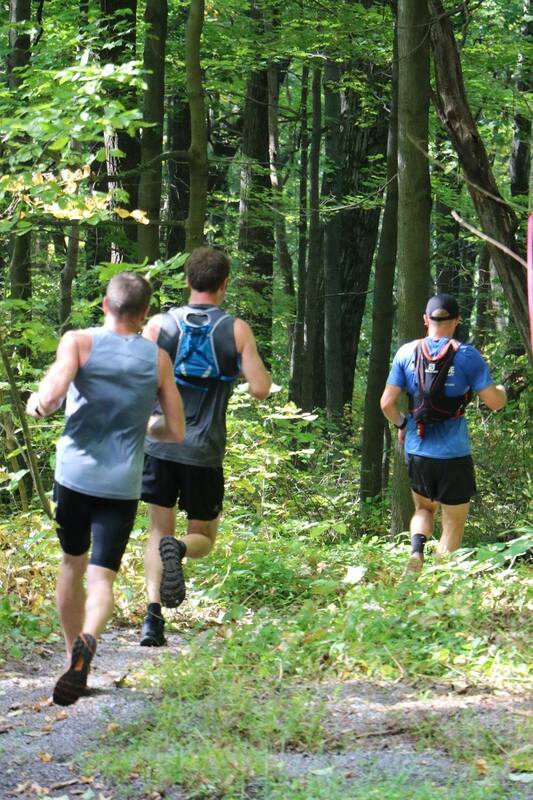 Central PA has developed a large and involved trail running community, partly due to their fantastic selection of trails. As a result, great events like this have continued to grow. And a bonus: this is PA’s highest elevation trail running race. 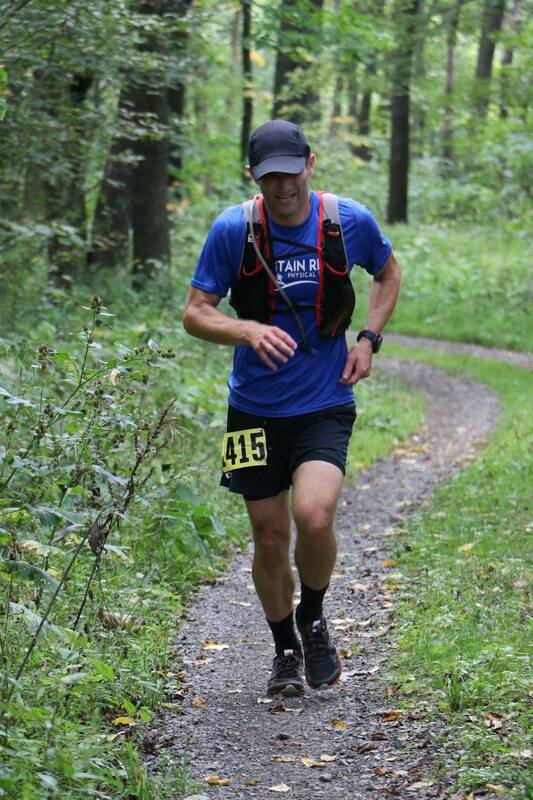 Directed by Allegheny Trailrunners, the event has had a shorter race of 5-6 miles and a longer 20-22 mile event since 2012. The 10K was clearly quite popular this year with nearly 150 finishers. This may be the 2018 site of the USA Track and Field 10K Trail National Championships next year, which would make it even larger. The longer course was my preference this weekend and it ended up with 66 finishers. The race typically starts a little later in the morning because the top of Blue Knob Ski Resort tends to be enveloped in thick fog during the cool September mornings. This year was an exception - we had a clear, sunny sky. I didn’t even realize how truly awesome the views were until this year. I had even raced the Lost Turkey Trail Marathon here a few weeks prior but that course didn’t go to the absolute top of the mountain like this one. The drive in certainly had fog and cooler temps but by the start of the race, temperatures were already above 70 degrees. The long course starts with a short gravel lot section followed by about 1.5 miles of rocky, technical trail. It’s so rocky that I managed to roll my left ankle before even running one mile. Frustrating. It must have been obvious since the runner behind me even asked if I was okay. I needed to be more careful or I was going to have the shortest trail race ever. The trail does eventually become less technical, on average, which is great because we really started descending. This portion visited the Lost Turkey Trail and the Crist Ridge Trail. I couldn’t believe how much the trail was covered with leaves in the valleys already. A group of four of us formed at the front, the lead occasionally changing between each runner in the first five or so miles. I eventually made it to the front to eat my fair share of low calorie spiderwebs. Three of us arrived closely smooshed together at the Pavia aid station, around mile 7. Hitting the first major climb here, the legs were feeling good and reliable. That can be a deceptive thing when you have been going downhill for a couple miles, though. I recalled this area as part of a loop from 2015 where I somehow sprinted past a subterranean bee’s nest without being stung while the midpack runners heading up the hill were clearly not so happy. This year I’m carrying an Epi-Pen and Benadryl in case I’m not as fortunate. Most of this first big climb was runnable, and Lee Strappello and I remained close as we neared the top and were forced to hike on increasingly loose and steep rockiness. Lee had been great to talk to for a few miles but after one hour of running together, I guess the time had come to split up. (AKA, I started feeling anxious.) His mother was taking tons of photos of us, a couple of which I’ve posted here. The trails become a little more overgrown and technical in the next section, around 10-11 miles. Unfortunately, I started to feel my calf muscles tighten during the steeper hiking of the 500-foot long Chappell climb. I knew I was taking a chance by racing for the third weekend in a row, especially since my calf muscles were more sore than normal after last weekend. Ultimately I wasn’t expecting to have full recovery and a peak performance but the trails here are so challenging, fun, and unique that I took the chance to race anyway. Upper Ridge Trail was a quick reprieve from the technical parts and heavy climbing. The next tough, yet fun, area occurred around mile 12 at Deep Hallow Notch. Here the trail suddenly climbs the steep mountainside to the left, often using mossy, sandstone rock steps. It’s a climb of about 0.3 miles, far shorter than the upcoming Beaverdam Hollow climb so the threat level is lower. Knowing my calves were already tiring out, I kept trying to make it a point to take a slightly longer hiking step to make the quads take a bigger share of the load. Better in theory than practice. Arriving at the Raven’s Rest aid station around mile 13 I downed half a water bottle, a few small cups of pickle juice, a gel, gummy worms, and a cookie. Let’s hope all that stays down. I recognized this station from 2015 so I knew there was about to be a really cool, technical section of singletrack up Mountain View Trail but then one of the tougher climbs I’ve ever encountered would begin. But that’s really why I came in the first place. The Beaverdam Canyon climb crushed me in 2015 because I knew nothing about its difficulty. Even though two years had passed, I knew this time that it was painfully long and basically unrunnable. Over one mile of 99% power hiking at 14:00/mile. This is the part of the course that nearly every long-course runner won’t forget and I’ve not raced anything else comparable around this region. And so the Battle at Beaverdam begins with repetitious crisscrossing of a half dry stream, switchbacks, and dozens of mossy rock steps. Midway up I see a soldier groundhog climb a few feet up a tree in front of me. I wondered if groundhogs and beavers were genetically similar. It leaps back down into the trail, surely plotting its line of best attack. But then it decides to climb back onto the tree and maneuver to the backside of it, much as a sneaky squirrel would. Clearly a confusion tactic, rodent. As I finally step beside the tree, the groundhog is clinging right at my head level, a couple feet away, staring with its beady eyes, blood dripping from its mouth. Okay, so there was no blood but I had visions of it leaping onto my face in a rabid fit of rage. Thankfully it stayed put. More light becomes apparent through the trees and soon enough I can kinda, sorta run, here and there, at least. Even though the major climbing is done, the course rolls through the woods on the Lookout Loop to the next aid station around mile 18 where they tell me I had a six-minute lead at the prior aid station. I lean on the table and prophylactically down more pickle juice. So close to the finish yet still so far when my muscles are not agreeing with my brain about their assigned task. I’m greeted with a bit more climbing up a brushy power line and then a huge descent begins down the ski slopes. That was a nice change until I came to the part that had a sign that said something like, “Are you an expert?” Here the slope really narrows amongst the trees and becomes ridiculously steep. This would be sketchy to walk on fresh legs. I seriously can’t comprehend people safely skiing that stuff. Despite having my shoes pretty snug at the start, my big toes and forefeet are noticeably unhappy hotspots while trying to limit speed. Cutting on into the woods again, it wasn’t long before I arrive at the next gut punch: a scramble climb known as “I Need A Sherpa.” A tow rope would have been sufficient. Because I had been descending for a handful of minutes, the moment I started to climb this entirely unrunnable section, both calf muscles and my left inner thigh locked into a cramp. Oh no. No. No. There was a moment of doubt as to whether I could actually get my legs to work well enough to get up that hill. I began to move as if I was wearing downhill skis and trying to go uphill, rocking side-to-side. Maybe more like a gingerbread man would walk. The loose, flat rocks slip and slide underfoot, making traction unpredictable. Fortunately, the hill was covered in enough small birch saplings that I could use my upper body for assistance. There was a single random glove stuck in one of the saplings. Yes, please, give me a hand. Cresting onto a service road, I started seeing folks from the 10K just down the hill. They were a nice distraction. Then up another less intense climb and then there’s another where two spectators at the top asked, “What do you want to hear? Pop? Rock?” My initial thought was that they must have a boombox or instruments. I yell, “Rock!” They immediately begin serenading me with their accapella version of Crazy Train. It was unfortunate for them that I had no money to leave a tip. Thanks fellas. The course flattens and both calf muscles retaliate once more, making my ankles useless. For some reason I’m now running like a cowboy that just jumped off a horse. Dory from Finding Nemo enters my mind. “Just keep swimming, just keep swimming.” Because the calf cramps were from fatigue-related muscle failure, no amount of pickle juice was going to stop them but I’m certainly glad it didn’t start any sooner. The cramping gradually eased again with each step and I’m sure my grunting helped bring it under control. The 10K folks were encouraging me onward. The course nears its finish as I pop out onto a road with spectators claiming the finish is just up the paved road. I guessed it shouldn’t be more than a mile with this many people around. And it wasn’t too many more steps before I saw that lovely timing clock and kicked a tiny bit. Good enough for first place in 3:12:44 and an REI folding camp chair. Race director Ben Mazur greeted me with a cool medal/bottle opener. The local beer distributor was stationed a mere 12 feet from the finish line, making that Goose Island IPA a very reasonable distance away. Being an odd distance under an ultramarathon or a marathon, I wasn’t quite sure of whether I should wear my hydration vest, carry a bottle, or just take water at the aid stations. In 2015, I didn’t carry anything but gels. But it was a heckofalot cooler then. By the end of this day, I drained a 50-ounce hydration bladder and was glad I went with that choice. And I still drank more water at several of the aid stations. It was hot and humid. I was impressed by the number of 10K finishers hanging out at the finish line to cheer on the long course finishers. And maybe it was the beer but they were super nice and encouraging too. Fun day out there!